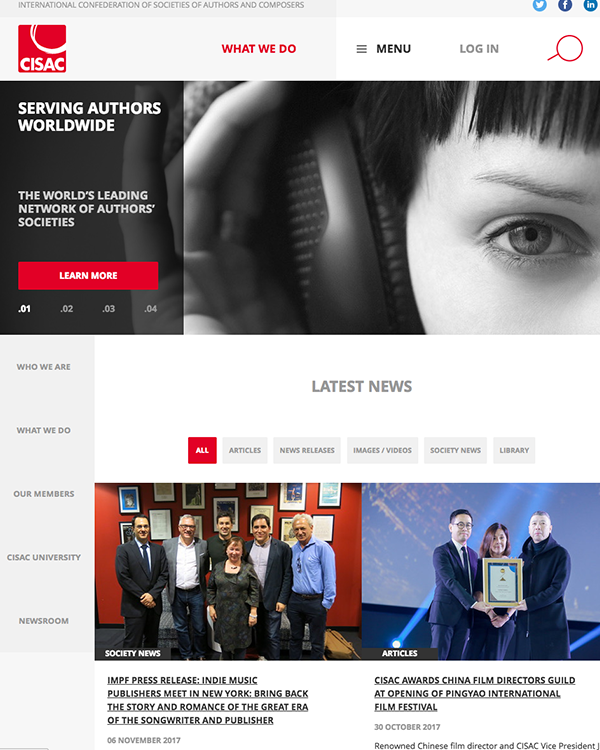 With 239 member societies in 21 countries CISAC represents more than 4 million creators from all geographic areas and all artistic repertoires; music, audio-visual, drama, literature and visual arts. CISAC has an important presence at WIPO and aims to secure fair remuneration for creators for the use of theirs works anywhere in the world. 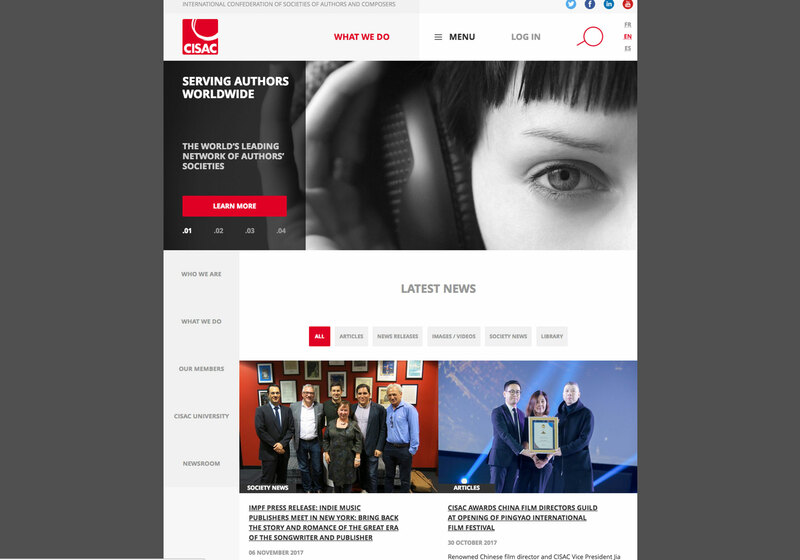 CISAC’s global policy and legal activities focus on promoting pro-creator legislation at international, regional and national levels across all artistic repertoires: music, audio-visual, drama, literature and visual arts. The transfer of value from creators to digital intermediaries and the liability of service providers are at the top of CISAC’s agenda. CISAC has developed an international lobbying campaign for a favourable interpretation of existing safe harbour laws in a manner that requires ISPs to remunerate creators for acts covered under exclusive rights. 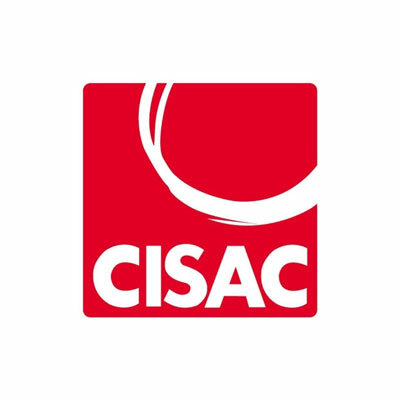 In the audio visual sector CISAC advocates for an unwaivable and unassignable right of remuneration for audio-visual creators. An academic study on the importance of this right for directors and screenwriters has been commissioned Law Professor Raquel Xalabarder, a film copyright specialist and Chair of Intellectual Property at Universitat Oberta de Catalunya. The study examines the legal framework in countries that grant the right and develops arguments for the right’s implementation in countries that do not have it yet. CISAC undertook a comprehensive private copying legislation analysis – the first global examination of private copying systems – to identify countries where societies may be able to collect remuneration under existing laws and to urge countries to amend laws to allow private copying systems where they do not exist. CISAC campaigns for the universal implementation of the visual artists’ resale right to promote a new international treaty that would make the resale right mandatory.